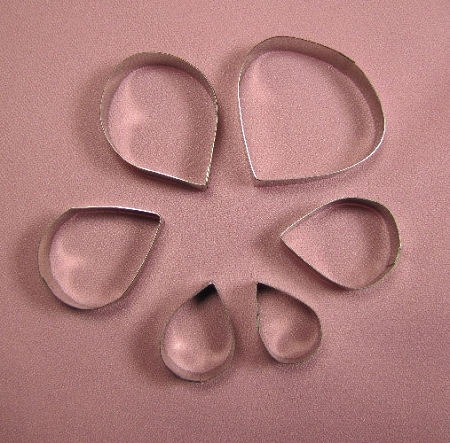 Rose Petal Set of 6 Small includes 6 different sized Rose Petal cutters. The largest Rose Petal cutter measures 1 7/8" x 1 7/8" and the smallest Rose Petal cutter measures 1" x 3/4". As shown in Beautiful Sugar Shoes, by Sugar Artist Iris Rezoagli.